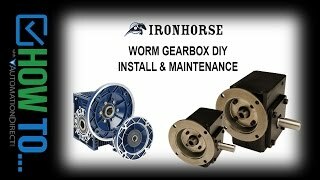 IronHorse heavy-duty worm gearbox, 40:1 ratio, 56C-Face input, right hand, 1in diameter output shaft, nominal 0.5hp at 1.0 SF, 1120 lb-in mechanical output torque, 2-1/16in center distance, cast iron housing, tapped-base mount. We do not offer a printed copy of the product manual for purchase. Please download the user Manual at no charge. Motor mounting bolts not included. 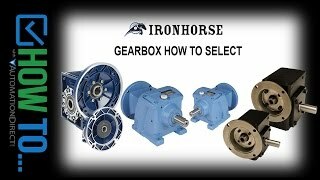 Customers who bought a WG-206-040-R also purchased the following items.